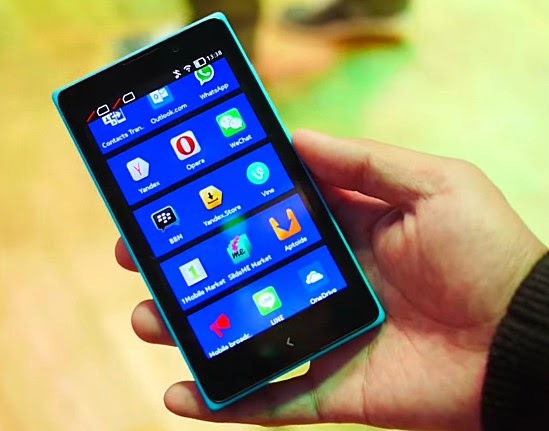 Nokia XL Dual SIM Android Smartphone Price in the Philippines Upon Launch is Php 8,990, It's Official! Now Available Nationwide! Our Nokia XL preview was one of the most viewed posts on TechPinas last Q1 2014 so I know that a lot of you are interested about this handset and are eagerly awaiting its arrival here. Well, for those who've been saving their allowance for this cool Android smartphone, I bring great news! Nokia XL is now officially available in the Philippines! This new device - according to Nokia - is the perfect introduction to the world of Android apps, coupled with great design, an intuitive user interface, and the most popular Microsoft services. The Nokia XL flaunts a swappable and durable unibody polycarbonate shell - in youthful hues - and tile-laden user interface inspired by the Finnish company's Lumia line of Windows Phone handsets. It comes with Fastlane, a screen which lets users switch between their favorite apps and activities more smoothly. Now, as for applications, Nokia XL owners can access curated, quality-tested ones from Nokia Store, more than a dozen third-party app stores, and by sideloading. 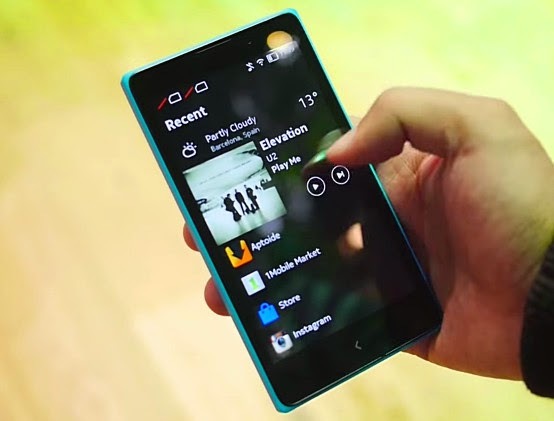 And what's cool is that Nokia XL is pre-loaded with a variety of very popular third-party apps and games. “We believe this unique combination will resonate with consumers around the world and set a great precedent for the level of quality that can be achieved in the fast-growing, affordable smartphone segment.” shared Mr. Karel Holub, General Manager of Microsoft Mobile Devices Sales in the Philippines. Out of the box, users will be able enjoy quality experiences including free HERE Maps, with true offline maps and integrated turn-by-turn navigation. As Nokia X owner, I can really say that - apart from the this line's unique design, solid build, and refreshing interface - I'm really impressed with the top-notch location services that Nokia delivers. On top of that, the Nokia XL is an affordable introduction to popular Microsoft services, including Outlook and free cloud storage using OneDrive. 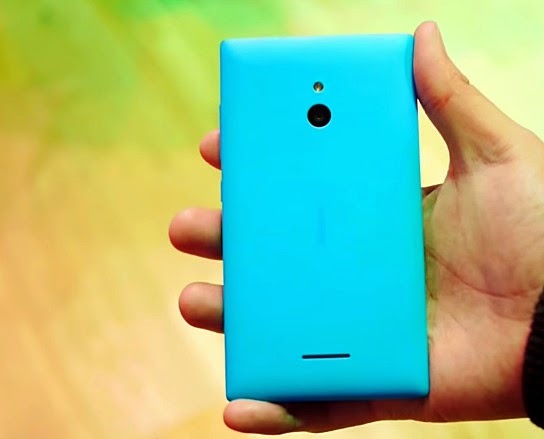 Nokia XL is the premium handset in the Nokia X family currently (Nokia X being the most affordable release). Boasting a 5-inch WVGA IPS display, 5 MegaPixel rear-facing autofocus camera with LED flash, and 2 MegaPixel front-facing camera, it is a great choice for big-screen entertainment. People can also take advantage of the larger screen size, the front and rear-facing cameras to get the most out Skype video calls and video apps like Vine. Playing with its user interface, you'll see Nokia XL's two main screens: the Start Screen, a home screen which features a fresh, tile-based design and the Fastlane screen. Fastlane is a dynamic record of how people use their phone, day by day, moment by moment. It captures everything people love: they need only to swipe once from the Start Screen to access Fastlane, see a record of recent activity, and switch between their favorite apps, smoothly. They can return a missed call by calling or texting, accept or decline calendar invitations, or control the music player – all from within the Fastlane view. I guess you can say that Fastlane replaces the default Android multitasking panel on the Nokia XL and other X-series phones. People can select what appears on their Fastlane feed, read notifications from their social networks and update their status, making them more productive on the go. Inside, Nokia XL runs its Android 4.1.2 Jelly Bean based Nokia X Software Platform with a Dual Core 1 GHz ARM Cortex A5 and Adreno 203 based Qualcomm MSM8225 Snapdragon S4 Play chipset. This SoC is complemented by 768 MB of RAM (versus just 512 MB on Nokia X Dual SIM) and 4 GB of internal storage that you can expand using the device's microSD - supporting up to 32 GB - located inside the case. TP Friends, Nokia XL Dual SIM is out now at all Nokia Stores and authorized retail partners across the archipelago. You can get it for Php 8,990, which is a tad higher than our TP Guesstimate last March but I guess it's alright given all the strengths of the device including its design, durable construction, unique user interface, Microsoft applications, and Nokia's industry location services. The Android-based handset is available in six colors, namely, White, Black, Bright Green, Orange, Yellow, and my favorite: Cyan.